What you need to know before getting dirty. Mud runs and obstacle course races are exploding in popularity, so by now you or someone you know has likely participated or has signed up to run one. If you’ve never tried a mud run, I suggest starting with a shorter distance (5 km) and giving yourself a minimum of two to three months of training before hand. This will depend on the race you choose and your current fitness level. Always check with your doctor before starting a new workout plan. The first step is to develop a cardio base, but you can walk or do walk-run intervals if you are not prepared to run the entire distance. The more you train off the treadmill and on paved roads to mimic race day conditions the better. If you’re planning on tackling a Spartan race, keep in mind that every failed obstacle means you must complete 30 burpees. I recommend incorporating burpees into your training regardless of the race you choose because they provide a great full body workout! Obstacle course races generally require functional upper body strength. So mix up traditional weights and machines with sandbags, rocks, weighted packs and buckets to also work on your grip strength. Additionally, practicing on monkey bars and doing dead hangs is great for your training as well. If you’re not comfortable training on your own, find a personal trainer in your area to work with. Alternatively, Spartan Race, Tough Mudder and Warrior Dash offer free training plans and workouts that you can try. Rule number one is avoid cotton clothing! Cotton will weigh you down once it gets wet or covered in mud and you’ll spend the rest of the race trying to hold your pants up. Instead, choose spandex or wicking fabrics. The less clothing you wear, the less you’ll get weighed down. Make sure your bra, underwear and socks are also not made of cotton. You will get dirty, so don’t wear anything white if you plan on keeping it white. Everything is washable, including your shoes, but the lighter the colour, the more likely it will turn grey and dirty looking after washing. I highly recommend wearing trail shoes, because they will provide traction on the trails, in the mud and on slippery obstacles. For a 5K race, you don’t need special nutrition strategies, unless you’ll be on the course for over an hour. But, it’s never a bad idea to pack energy gummies or a hydration pack in your pocket just in case. Always show up to the race well hydrated, making sure you drank plenty of water days before the race. Most races also provide a water station on course, but you may want to consider carrying your own water supply. 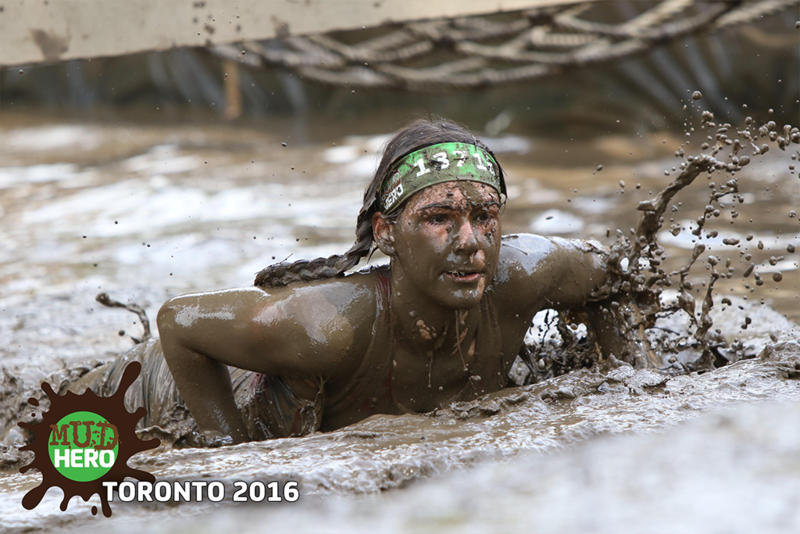 Running an obstacle course race is a lot different than your average 5K, 10k or half marathon. While a 5K road run may take you 30 minutes, the same distance on an obstacle course race might take you an hour or more depending on the terrain and obstacles. Melissa Boufounos is a Certified Holistic Nutritional Consultant who coaches OCR athletes to optimize their performance and improve their race times by making sure they are nourished on a cellular level. For more information on how to prepare for an obstacle course race or personalized nutrition strategies contact Melissa directly at www.melissaboufounos.com. Two pinched nerves lead to several awards won in ballroom dancing. Chris Schmidt, a defenceman for Team Germany, shares his training routine. Wow! This complete workout builds strength, power, balance, coordination, and endurance.